Sure, your GPS can get you where you want to go and even tell you what your favorite restaurant is serving these days, but it won’t save you any money when it comes to gas. 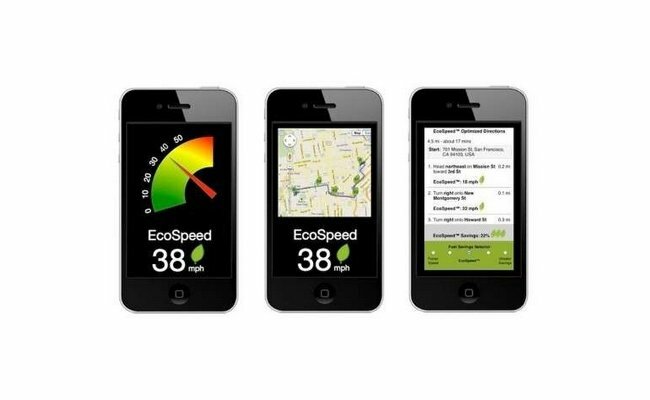 EcoSpeed is an app that will help you to be fuel efficient as well as get there easily. Since it is based on a decade of driving research, you might say that EcoSpeed has already been proven. It is designed to help save money and create better driving habits. Good driving habits lead to fuel efficiency and that leads to saving you money. It was created by Clarian Labs and this app lets you plot a direct route via Google Maps that is both energy efficient for gas consumption and will also avoid traffic stops, even if it may be slightly longer. There’s always a trade-off right? It will also help you drive at an optimal speed that can save you up to 30 percent on your fuel bills with turn-by-turn directions. 30 percent is nothing to sneeze at with gas prices being what they are. Android and iPhone versions should arrive this March, along with your savings.